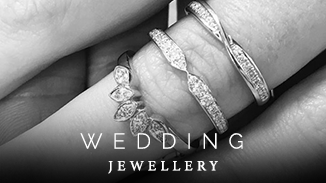 • “We” and “us” means Hannah Kimber Jewellery Ltd.
By using the website you confirm that you are at least 18 years old, or, if you are under 18, that you are accessing the website with the consent of your parent or guardian. You may not copy, reproduce, distribute, republish, download, display, post or transmit any part of the website without written consent from us. The images on the site are for informational purposes only and are automatically protected under UK copyright law. Very occasionally information displayed on our site may be incorrect due to system errors. We will, of course, make every effort to avoid errors but if they do occur we will not honour inaccurate or erroneous prices. All of the designs displayed on www.hannahkimber.com are the company’s intellectual property and are automatically protected under design right. This means that the use of these designs for any purpose without our written permission would be an infringement of UK Patent Law. Under no circumstances shall Hannah Kimber Jewellery Ltd be liable for any indirect, special, incidental or consequential damages of any kind, regardless of the form of action, whether in contract, tort (including negligence), strict product liability or otherwise, even if we have been advised of the possibility of such damages. We accept payment by credit and debit card, cheque or bank transfer. ALL PRODUCTS REMAIN THE PROPERTY OF HANNAH KIMBER JEWELLERY UNTIL PAID FOR IN FULL. For payment via international transfer, you must accept the international charges involved which include the intermediary bank charges as well as those from your personal bank. Shipments dispatched remain our responsibility until received by the recipient. We are not responsible for jewellery where delivery has been attempted but no signature was obtained by the delivery company. Damaged or tampered shipments must have the word ‘DAMAGED’ written by the receiving person on the delivery agent’s paperwork. Failure to do this will result in the shipment becoming uninsured and we cannot accept responsibility for this. Jewellery shipped abroad may be liable to tax or duty charges applied by the recipient’s country’s customs. This is out of our control and is something they cannot accept responsibility for. Jewellery returned remains the responsibility of the customer until received back by Hannah Kimber Jewellery Ltd together with the appropriate paperwork and packaging. 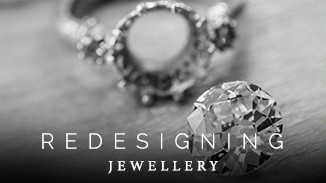 Jewellery is not guaranteed for delivery on Saturday unless specially arranged and we are not responsible for any loss or claim resulting from this fact. 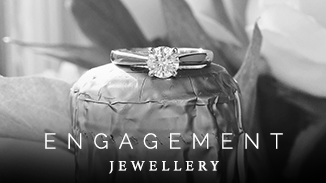 We provide comprehensive information as toyourw to care for you jewellery. We cannot accept responsibility for problems with your jewellery if this advice has not been exactly followed. The UK to US ring size conversion charts are provided for information purposes and are accurate to approximately within 1/4 of a finger size only. We do not accept responsibility for the inaccurate use of this information. We will either take your ring size in person (or explain how to use our ring sizer hire service) using industry standard Wheatsheaf Ring Sizers of either narrow or wide size. We will offer any sizing advice in good faith however the final responsibility of finger size choice lies with the customer as it is always a matter of personal preference. Once the customer’s finger size has been agreed with a member of staff this decision is binding and the customer will be charged for any subsequent changes of ring size. We only purchase diamonds from respectable dealers and every attempt is always made to ensure that diamonds are not sourced from countries that use the money to fund conflicts. We reserve the right to change these Terms & Conditions of use. If this happens, we will notify you by posting the new Terms & Conditions of use on the website. If you do not wish to be governed by the Terms & Conditions of use, please do not use this website.